This is a pretty amazing memory, one I could never forget about, even if I tried. 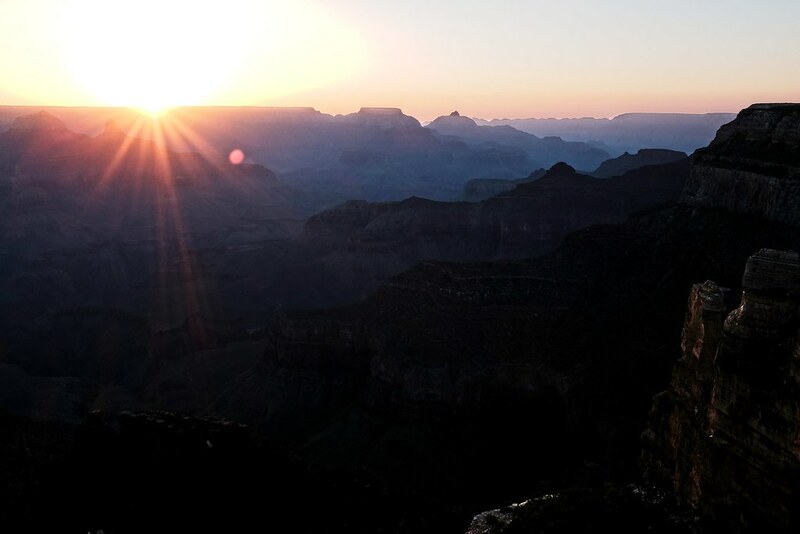 Camping on the edge of the grand canyon and waking up for the sunrise. A spectacular sunrise! There was a fire the night before, and because not enough warm things were brought, there was a second fire…around midnight. Everything was incredibly dry, so unlike my native New England, where all seems to be perpetually wet, things started crackling in a hot second. pun intended. The trees nearby were wet down as there was fear of lighting the whole grand canyon on fire – that would not be cool. That didn’t happen, but you can never be too safe…with fire…and trees. No line of tripods. Just us. I had a friend who came with me and brought his ukulele and played a few things as we watched the sun rise. Talk about a moment. He handed the mini guitar to me and I plucked a few strings before giving it back and proceeding to take a few pictures.